The High Holy Days are a powerful time in our Jewish calendar set aside for spiritual renewal. 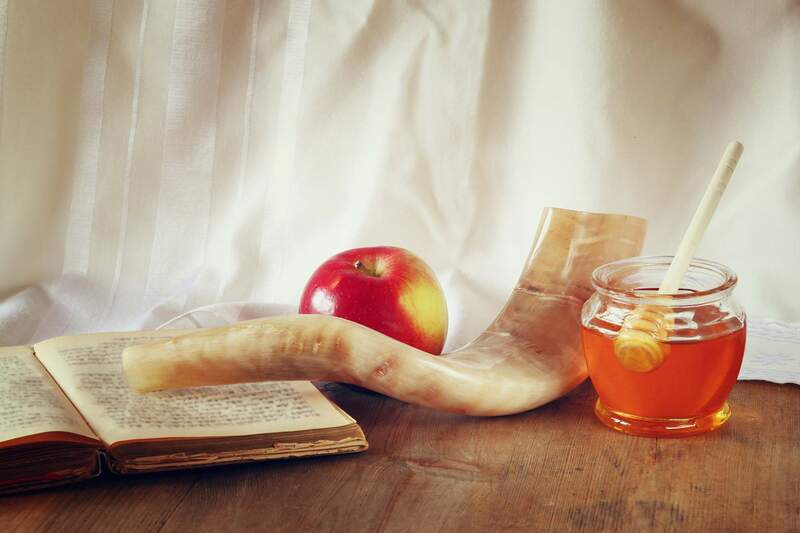 We enter this period on the Shabbat prior to Rosh Hashanah with Selichot meaning forgiveness. It refers to the solemn penitential prayers recited by prior to the onset of the High Holy Days. We traditionally gather together for study and then for services. The ten-day period, the Days of Awe, begins with Rosh Hashanah (Literally, “Head of the year”) and culminates on Yom Kippur (The Day of Atonement). Our spirit during these days is marked by introspection, prayer, and repentance. It is a time of remembering mingled with a time to look ahead to the new year. It is also a time to be together as a community. In our Field Family Sanctuary, services are held on both days of Rosh Hashanah, Kol Nidre and on Yom Kippur morning and afternoon. Parallel services are provided at the Highland Park High School on Rosh Hashanah and Yom Kippur mornings and afternoon. Our clergy alternate days at both locations. Our Hazzan remains at the main sanctuary with our choir; and we have a service leader from Israel at our high school services. He has joined with us for the High Holy days for over a decade and is a beloved member of our community. Yizkor (a service in remembrance of our departed loved ones) is recited at both locations for the morning services. During the afternoon of the first day of Rosh Hashanah we gather on the back lawn of our Synagogue over looking Lake Michigan and walk to the shore for Tashlich (Casting Forth). This spiritual practice led by our teens, includes reciting prayers and throwing pieces of bread onto the water to symbolize casting away our sins. Our community gathers together in the Field Family Sanctuary for Mincha and Neilah, the dramatic closing services of Yom Kippur and a beautiful Havdalah service with our children in the Field Family Sanctuary. We invite you to join our NSS Beth El Family for a spiritually deep High Holiday experience. Let the Year Begin with all it’s Blessings. North Suburban Synagogue Beth El wants to celebrate the High Holidays with all of our community in an age-appropriate and engaging way. We are pleased to offer Children’s High Holiday Services led by dynamic, engaging teachers at our two locations – at NSS Beth El at 1175 Sheridan Road, and at Highland Park High School at 433 Vine Avenue in Highland Park. There are several factors that may determine which location you are interested in, and we hope you feel free to contact us to determine what makes sense for your family. This year, Rosh HaShana begins on Sunday, September 29, 2019 and our children’s programming is on Monday, September 30 at both locations and Tuesday, October 1 at the NSS Beth El location only. Yom Kippur begins on Tuesday, October 8, and our children’s programming is on Wednesday, October 9 at both locations. Children’s High Holiday Services Registration 2019/5780: Online registration for children’s services is now open. Teen Leader Registration 2019/5780: Online registration for Teen Leaders is now open. Family Needs: There are rooms at both locations that can be used for families to attend to their children’s needs. Room at the HPHS location is the Babysitting Room and at the NSS Beth El location there is a room in the school wing. Teen Leaders will be accepted for any days they are able to staff and will have seats with their parents at no extra charge. *Families attending services at Highland Park High School may also register for the following at the synagogue location: 2nd Day Rosh HaShana Family Service and Yom Kippur Family Neilah Service. Space for all family services is limited and we require pre-registration. In lieu of our traditional Children’s Services for Kindergarten – 7th grade students, we are offering a HPHS Activity Room (preschool-7th grade): 12:00-1:00 pm 1st Day Rosh HaShana and 12:45-1:45 pm on Yom Kippur. This room will be a minimally staffed room with a few snacks and games for children to go to during Yizkor or to extend their programming as their parents choose. If you register for the Activity Room, your preschool children in Tot Chagim will be transferred there by our staff. Due to Highland Park High School being in attendance on Tuesday, October 1, we cannot offer children’s programming at HPHS on the 2nd day of Rosh HaShana. However, children are welcome to join you in the high school main auditorium (the Children’s Services ticket will gain them entry), or you can register to attend the Family Service at the NSS Beth El location (your ticket will give you access to seating in the triple letter rows). Snack policy: We serve nut-free snacks to all children on the first two days of Rosh HaShana and to children younger than kindergarten on Yom Kippur. Make sure to fill out the appropriate section about food allergies on the online registration form.